We are a leading Exporter of curtain hanger from Tiruppur, India. 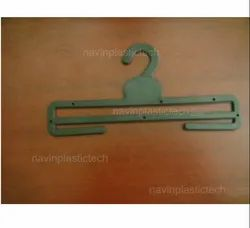 Our company has gained immense accolades in the field of offering Curtain Hanger to the clients. Curtain Hanger is widely acknowledged by clients for strength and optimum finish. This product is precisely designed and manufactured using premium grade raw material and modern machines in accordance with the set industry standards. The offered range is duly checked by the quality norms on various parameters. Looking for Curtain Hanger ?